Most people associate bitter custody disputes and arguments over which parent will be awarded full custody of a child, or children. However, in some cases, divorcing couples will get into similarly heated arguments over custody of a pet such as a dog, cat, turtle, etc. This is understandable since, to many people, pets are part of the family. The thought of parting with a pet as a result of divorce can be emotionally challenging. If you have a pet and are going through a divorce, the information below may be of assistance. 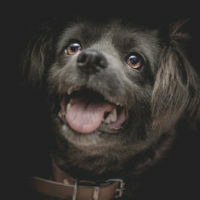 As mentioned, many people view their pets are members of their family and may think that fighting for pet custody is similar to fighting for custody of a child. This is not the case in Texas. Instead, Texas courts consider pets to be chattel (i.e. property). Therefore, your pet is subject to be equitably divided, just like your vehicles, your home, and other assets. Since pets are viewed as property, Texas courts apply community property laws. This means that if you gained possession of your pet prior to the marriage, then you have the legal right to the pet after divorce since your pet will be viewed as personal property outside the ambit of community property. If, on the other hand, you and your spouse gained possession of the pet during the course of your marriage, then you and your spouse have an equal right to custody of the pet. If your pet has a large monetary value (e.g., race horse or purebred show dog), then a judge may consider the pet to be a high value piece of property that should be sold and the profits be split equally among you and your spouse. Though, many pet owners do not wish to simply sell off their pets to recoup their monetary value. Pets often carry emotional and sentimental value. This is why you and your spouse should work to mutually agree on how custody be divided. Leaving the decision of pet custody up to a court is not recommended. As mentioned above, some judges will simply apply a cold calculus when dividing the value of the pet between the parties. A better solution is to reach an amicable agreement via voluntary mediation. During a mediation, you and your spouse, along with legal counsel, can discuss different options to resolve this dispute such as shared custody, allowing the pet to remain in the same home where it currently resides, or allowing the pet to live with your child who has become emotionally attached to the pet. Mediation also allows you to address related issues such as who is responsible for the medical care and maintenance of the pet. Pet custody disputes during a divorce can become emotionally charged and quite vicious. The Houston lawyers at Lindamood & Robinson, P.C. are here to help. Our team of experienced lawyers understands that custody disputes routinely involve an array of emotions including resentment and anger. This is why you should have an experienced lawyer by your side guiding you through this difficult process.